Your puppy is due to arrive before long and you may worry if you will have everything you need. Breathe! You need less than you imagine. Most of what puppy parents purchase is for their own enjoyment. Nonetheless, we want to share a list of what we consider necessities. These are all Amazon links (click on the product name to purchase the item) ; we make an affiliate fee if you purchase from our page. Vetericyn wound spray has quite possibly saved us more money than anything else puppy (or Weim) related. It is safe so you can breathe a sigh of relief if the puppy ingests some. It works--too often, to our surprise, we don't need to go to the Vet office for cut, abrasion, or patch of redness. Using it for an ear rinse thwarts bacteria, viruses and yeast infections. Finish the ear cleaning with a cotton ball or cosmetic pad wipe to the outer ear. You can buy Vetericyn's ear rinse, but this works. If you have a female, it is smart to spray their privates every once in awhile--it helps prevent yeast issues. It is safe, it is easy to use, and it takes care of a lot of minor skin problems. The larger size is only slightly more and worth the few dollars. The Weimaraner, unlike most dogs, doesn't have the oily skin. It doesn't leave that oily residue on your walls or furniture either. It is a huge plus for the household cleaning; however, it alway means they require extra care in choosing skin products--especially their shampoo. It needs to be gentle and yet effective. Bio Groom Fluffy Puppy Shampoo is an excellent choice. Bio-Groom also makes an anti-itch cream rinse that is safe for the puppy once they reach twelve weeks. Dry, itchy skin can be a concern. This product that may well help prevent discomfort. Bathing the Weimaraner should be kept to a minimum. Remember they have less body oil. You don't want to dry out their skin. There are times when they need a little refreshing. Maybe they just had a bath two days ago, but they smell a little 'doggie.' Forgive the pun, but you understand what we mean. This dry shampoo can help you bridge the gap between baths. Well & Good Dry Ear Powder for Dogs, 1 oz. Frequent nail trimming needs is a must. If the young Weimaraner tends to wear their nails down naturally, that is a plus. Most do not. Truthfully, a young pup (under one-year) should not run more than three miles a day. To scrap the nails enough to file them down they would have to run on concrete, asphalt or pavers. It is not likely that they avoid nail trimming. Procrastination is never a good policy for the Weimaraner. If you cannot do the nails yourself, you will need to have your Vet or a Groomer tend them regularly. Failure to do so will result in the quick of the nail growing longer, and eventually, it will require shortening. A scenario this very painful situation best avoided. Initially, the first week or so, you can use a simple (but sharp) human nail trimmer. 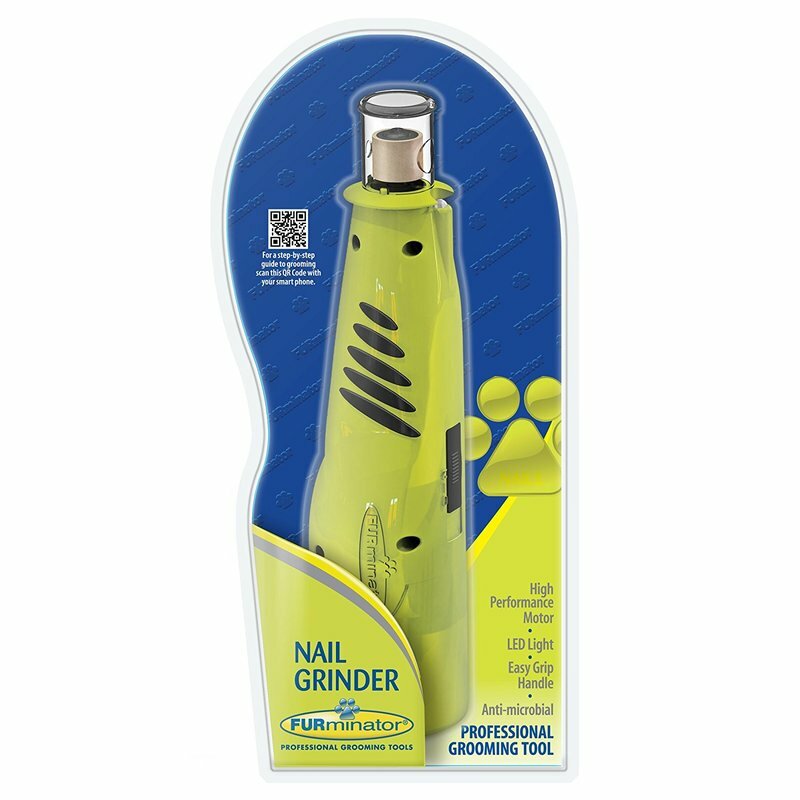 Soon, the nails will become too thick for this type of trimmer though, and you will need something more substantial, or you might consider a nail grinder. Again there are many options. We own several nail grinders. If you are going to use one, it is best to get them used to it early. You want them to become acclimated to sound and vibration. We often use a combination of a traditional trimmer and the nail drill to finish the edges. You must have the basic trimmers. Here are two very good choices. Secondly, you need some styptic powder to stop the bleeding should inadvertently quick the nail. Your pet's spa treatment should also include paw wax or cream. If you treat their feet each time you trim, they will have soft supple paws and their nails will be conditioned too! the old standby is Musher's Secret; however you might want to check out the Pet Head Oatmeal Natural Paw Butter or check our the less expensive Tomlyn product. We are positive they will all improve your Weimaraner's feet and protect them from cold weather as well as the hot pavement. Styptic powder is an important first aide item. Yes, it is for the occasional bleeding nail; however, it can be use if an ear gets a cut to stop bleeding. It is a must have item that you will use throughout the life of your Weimaraner. You will want to store it with the trimmers and keep it handy when you trim their nails. If they happen to break a toe nail or have one split this can be invaluable. We own several nail drills. Some are cordless and others not. Some have a guard that is a safety feature and others are free held. The latter takes more skill. Cord length limits where you can work; however, battery charging can also be a problem. The inexpensive PedPaws are a thing a few years back but the quality wasn't there. Our friend the Furminator came out with their unit which is amazing easy to use and reliable.